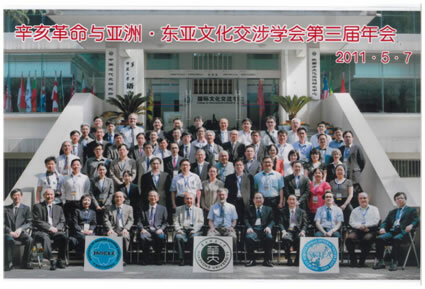 A commemorative photo after the opening session of the Third Annual Meeting in Wuhan, on May 7, 2011. A commemorative photo of the change of president. 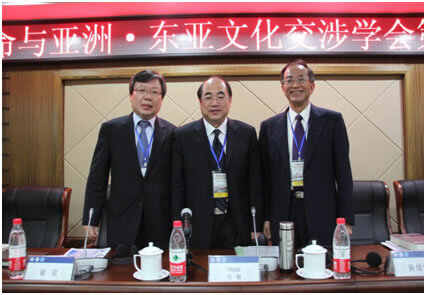 From Left: Vice President Choi Gwan, President Ma Min, Ex-President Huang Chun –chie. The 1911 Revolution was a great political event marking the beginning of a new era in modern Chinese history. Yet as the end of 2,000 years of dynastic rule (imperial politics), it also has long-term historical significance that can be felt even in the present. Today, a century after the 1911 Revolution, we need to look at this event from a macro perspective, on a scale of centuries and millennia, in order to fix its place in Chinese history. In other words, we need to reexamine the significance of the modern in the full sweep of Chinese history by looking at the 1911 Revolution. This will involve critically reexamining not only the 1911 Revolution but also perceptions and theories of modern Chinese history. From the perspective of these issues, in this essay I would like to present my views of the historical significance of the 1911 Revolution as seen from changes in the regional structure of Chinese history. When planning China’s future revolution, Sun Yat-sen at one time used the model of the West. 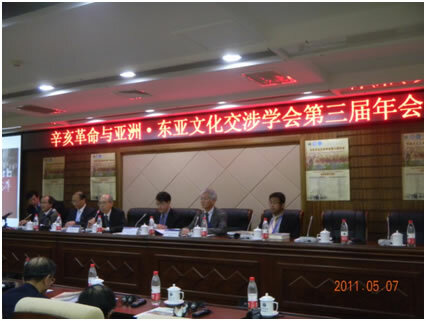 Since China is after all a part of Asia, however, and as his understanding of the corrupt and critical state of the Western system of capitalism grew, he eventually looked once again to Asia. He advocated collaborating with Japan, and approved of allying with various oppressed peoples in Asia. He planned to join forces with other Asian nations in order to stop Western encroachment in Asia. He divided the world into two major categories: the oppressors and the oppressed. He sought independence, equality, prosperity, and power for the oppressed, and proposed a new world order of peace and justice. He considered nationalism to be the basis of cosmopolitanism. Only by restoring national equality to the oppressed nations would those nations be able to move toward cosmopolitanism. For Sun, societies should deal appropriately with the relationship between cosmopolitanism and nationalism, both of which necessarily were to endure profound, universal judgment from people around the world. Humankind was to reawaken and rally together to help their own respective cultures. China’s traditional morality was to spread to merge with the morally good elements of every country in the world, creating the foundation for building a new world citizen morality.